When having a fight, couples who can still see where their partner is coming from bounce back better after the fight, and view the fight as a “healthy one.” Bottom line: we need to feel that our partner “gets us” even when we are not in agreement. Researchers at the University of California, Berkeley, conducted experiments with 85 people in relationships and studied the couples’ arguments, as well as how happy they were in the relationship and whether they felt their partner understood them. When couples did not feel understood by their partner, they felt less satisfied with the relationship after a fight, and visa versa. But partners didn’t have to be completely understood, they had to feel understood. The key was whether their partner expressed empathy with their position. To say it differently, whether you agree or not isn’t the issue. Expressing empathy and understanding is. If you want your partner to feel happy with your relationship, it’s important to convey that you still appreciate your partner and where they are coming from, regardless of whether you agree. Expressing empathy is not pretending to agree. Instead, partners who vocalize empathy are bridging the divide, avoiding accusatory “you” statements, and helping the other person feel their views are valued. “I get you,” is the message we need to convey, even in a fight. Next time you disagree on politics, chores, or anything else, see if you can take the time to let you partner know you hear what they are saying, and that you “get” them. Lori Lowe has been married to her husband, Ming, for 20 years. She is the author of First Kiss to Lasting Bliss: Hope & Inspiration for Your Marriage. It tells the inspiring, true stories of couples who used adversity to improve their marriages–from overcoming drug addiction to cancer, infidelity, religious differences, and infertility, among many others. It’s available at Amazon.com and in various e-book formats here. If you want to be happy for the rest of your life … Harvard has the answers, at least for men. Harvard University conducted the longest-running longitudinal study of human development, beginning in 1938 with 268 male undergraduates. Researchers studied an enormous range of psychological, physical and lifestyle traits of over a 75-year period—everything from IQ to drinking habits, marriages and much more. The men are now in their 90s and have provided intriguing data over the decades. The quality of relationships and the capacity to form intimate relationships was far more important to wellbeing than dozens of factors, including body type, birth order, social class, or income, the latter of which often receives a vast amount more of our attention in life. Researchers returned to these particular findings from 2009 to 2013 to ensure this importance on relationships was warranted. In further study, Vaillant not only confirmed it, but placed even more importance on warm relationships than previously. What other factors were important for men to live a happy life? Alcoholism was found to be the single strongest cause of divorce between the study men and their wives. Alcoholism was also found to be strongly associated with neurosis and depression. Combined with cigarette smoking, alcoholism was the number-one cause of death. In addition to being linked with improved wellbeing, warm relationships affected income. The 58 men who scored the highest on measurements of warm relationships earned an average of $140,000 a year more during their peak salary years (ages 55 to 60) than the 31 men who scored lowest on this factor. Memories of a happy childhood were a source of lifelong strength. However, recovery from negative childhoods can and did occur. One loving friend, mentor or relative can have a powerful effect to negate the effects of a difficult childhood. The men’s relationships with their mothers was significant to their long-term wellbeing. Men with warm childhood relationships with their mother earned more and were more effective at work later in their professional lives. Men with poor childhood maternal relationships were more likely to suffer from dementia in old age. Men who had warm childhood relationships with their father were associated with lower rates of adult anxiety, greater enjoyment on vacations, and increased life satisfaction at age 75. The men who did well in old age didn’t necessarily do so well in midlife, and the reverse was also true. Marriages brought much more contentment after age 70. Persistence, discipline and dependability, combined with capacity for intimacy was a winning combination for happy lives. The welcome news for old age is that our lives continue to evolve in our later years, and often become more fulfilling than before. If you’d like more details from the study, you can find Triumphs of Experience on Amazon. Are you guilty of these common spouse complaints? My wife expects me to be a mind reader. Late night arguments are getting out of hand. My wife doesn’t appreciate me. As a wife, I’m often guilty of thinking my husband should know what I want after 20 years of marriage. Wives may expect their husbands to know how they are feeling or thinking. If he guesses wrong, he’s the bad guy. Wives need to learn to directly express themselves or realize their cues may be misinterpreted. And husbands should ask their spouse to speak more clearly what she wants. For anyone who has to get up early, having a spouse bring up a conflict just before going to sleep is a problem, particularly if it happens frequently or drags on. According to the therapists, men often find this late night discussion the least appealing time. Wives, on the other hand, may feel they can’t sleep without addressing the problem. Their advice is to schedule 10 minutes after work or right after dinner to talk so you can both give the time and energy needed. I feel a lack of fairness in our marriage. We have too much personality conflict. Issues of fairness for wives often deal with the division of household labor and childcare. They may also involve how money and free time are spent, especially where vacations or holidays are spent. Do you take turns deciding on vacations or holidays, or does one person choose? All of these factors contribute to how valued one feels in the relationship. Personality conflict is something all marriages have to some degree, even all people who live in close quarters. You like it warm; your spouse likes it cool. You like to socialize and entertain; your spouse likes to have a quiet night at home. You like to staycation; your spouse wants to travel the world. It’s more than fine that you are different from your spouse. Marriage is an adventure that requires compromise, communication, and growth. For more insight read How can married couples overcome gridlock. Visit: heraspiration.com for relationship advice for women. Feel like your marriage needs a big change? One prominent family law firm reports the third Monday of January is the busiest day for divorce lawyers. However, they say that many couples see a lawyer in hopes of trying to salvage the relationship. I’d rather see those people marching off to marriage counselors, but it begs the question: Why the end of January? All of these factors and more can contribute to a feeling of malaise. Many of these factors cause stress but are not directly related to a “bad marriage.” It’s just hard to have a good marriage if one or more of the spouses are depressed or stressed out. A spouse may get the blame for not “doing enough” to help us out or to make us happy. Still, even people who visit a marriage counselor, or worse, a divorce lawyer, often don’t want a divorce. They just want a change. There are many possible solutions or changes that can improve one’s outlook on life while keeping the marriage intact. Do you want more time with your spouse? Do you despise your job or the city you live in? Do you need firmer boundaries with your in-laws, or wish for a quick getaway to a warm climate? Or are there deeper issues that a therapist might help you overcome? Feeling like your marriage needs a complete overhaul? Check the calendar, and realize it might be time to seriously consider a number of changes. But keep your spouse. According to the Gottman Institute, two common patterns often reveal when a couple is likely to end up in an early divorce or late divorce. Couples who don’t make it more than a few years after their wedding day are those who are stuck in a negative cycle, says John Gottman, University of Washington psychologist and founder of the Gottman institute. What does it mean to get stuck in a negative cycle? The negative interactions and responses become so common as to be rather automatic, and the partner responds in kind to that negativity with more negativity. The friendship and affection that began in the relationship fades further and further into the background. “This negativity becomes all-encompassing. They check in but they don’t check out. It’s like the roach hotel model. There’s a rapid deterioration of intimacy and friendship where they become one another’s adversary instead of one another’s friends,” he explains. It may seem rather obvious that these couples are doomed to fail. However, it is our natural reaction to lash out with negativity when we feel attacked. Either partner can stop this cycle by refusing to participate and by learning to build the friendship and affection back in. Of course, real problems may need to be addressed, but often we over-react to small perceived failings or slights. For instance, if your spouse forgets to run an errand for you, don’t say that is a sign of lack of caring when it may be just forgetfulness or busyness. Responding with kindness or forgiveness can keep the cycle from spinning out of control. We need to have many more positive interactions than negative ones to maintain a healthy relationship. The couples who are predicted to experience a divorce much later are those who “agree to disagree” says Gottman. Around 16 years after the wedding, at the time many parents have teens, these couples end the marriage because they refused to address their problems. In their decision to withdraw from all conflict, they didn’t resolve any real issues. As the years fly by, then may feel they are in an empty marriage. The marriage can last a long time but are called “hostile detached couples” and are often demonstrated by couples who rarely talk at meal times. So in deciding not to participate in the negative cycles of the first type of couple, we need to not pretend to have a relationship, but rather work to actually maintain a healthy, loving relationship. Sharing time together, building and maintaining good communication and affection, and working through real problems are all part of what successful couples do. Have you seen other couples in these cycles? Is it harder to see yourself or others falling into these patterns? Lori Lowe has been married to her husband, Ming, for 19 years. She is the author of First Kiss to Lasting Bliss: Hope & Inspiration for Your Marriage. It tells the inspiring, true stories of couples who used adversity to improve their marriages–from overcoming drug addiction to cancer, infidelity, religious differences, and infertility, among many others. It’s available at Amazon.com and in various e-book formats here. What’s your great love story? The holiday that celebrates love is just around the corner, and I know it stresses many of you out. Instead of stress, I hope it’s a time to remind you and your partner how lucky you are to have found one another and to have made the choice to love each other. Maybe it’s also a good time to share your love story. Have you told your kids or grandkids the story of how you met, or your first date, or how you proposed? Even if they roll their eyes, they’ll be glad to know. You might even write it down for future generations, or pass along your letters from your dating days. Don’t think that story has to be perfect; every great story has twists and turns. The genealogy site, Crestleaf, is requesting your great love stories leading up to Valentine’s Day. They asked me to let you know about it, so I’m passing it along. 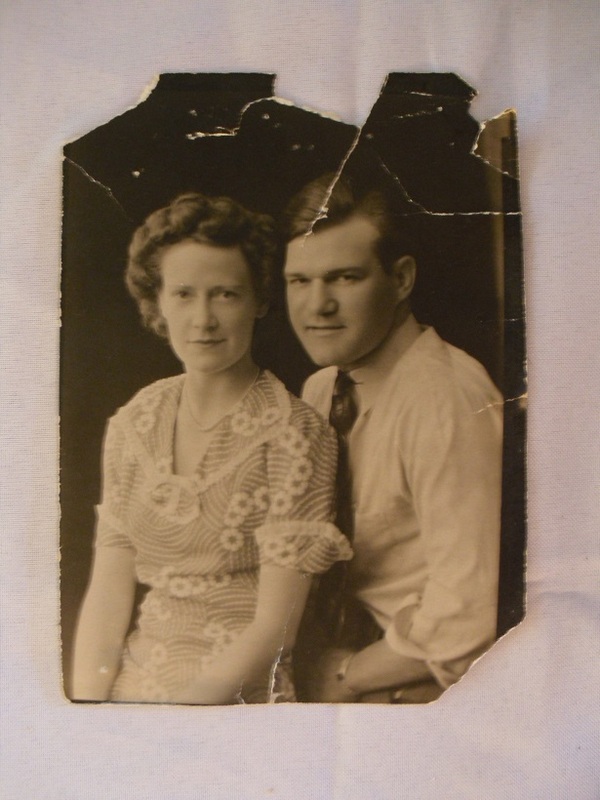 “One of the best things about conducting family history research is recording the incredible stories you get to hear from older family members; what their lives were like back in the day, how they endured the struggles of the Great Depression and how they managed to find (and keep) true love through it all,” says the site. “In this day and age, where divorce is more common than not, our grandparents and other older family members have chosen to keep those unbreakable vows and work through all the hard times resulting in lifetime love with their partners. And those heartwarming stories about how they fell in love with each other are what give the rest of us hope that we will find a love that will last until the very end.” Visit here for the submissions details. If you don’t feel like telling or sharing your story, consider looking back at old photos with your sweetheart, remembering the days when you fell in love, or when your grown kids were babies. You won’t transport your heart to the feelings you held back then, but you might feel a great appreciation for the life that has come between your falling in love and today. Let Valentine’s Day be a day to share your love story and your appreciation for each other. Is Marital Harmony Possible with High-Achieving Spouse? A new book called “The Love Fight” tackles the unique challenges of high-achieving individuals who are often married to relationship-oriented “connectors”. This Achiever/Connector marriage is at high risk of failure, because the partners may become codependent (unhealthy) rather than interdependent (the ideal). The co-authors both fall into the category of high achievers who struggled to be emotionally present, and they aim to share their lessons. One important lesson they teach is not to measure success merely by professional achievements. More importantly, they encourage Achievers to also measure the success of their relationships. 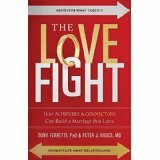 Co-authors psychiatrist Tony Ferretti and practicing physician Peter Weiss, M.D., were both driven, high-achieving married men who weren’t always aware of how they put their jobs above their families and relied too heavily on their wives to maintain family relationships. However, they learned to create more fulfilling marriages and greater life balance. The authors write to both the connectors and the high achievers with stories and examples from their own practices. They challenge the reader to view their perpetual issues with a new perspective. For instance, a spouse who provides well for his or her family may feel they don’t need to contribute as much emotionally, but would be wrong. Equally wrong would be a spouse who has not insisted that their partner grow up and be responsible for their own relationships, thereby enabling irresponsibility. Often the high-achieving spouse thrives on the praise and appreciation he or she receives in the workplace. The supportive spouse may initially be attracted by these skills, but without regular marital connection, these constant work demands can cause resentment. Both spouses need to fully appreciate their partner’s talents and contributions. And both spouses need to prioritize the marriage and family. The book goes on to explain characteristics and tendencies of Achievers and Connectors and how to help these couples make the best of their marriages. They explain how to change if unsuccessful patterns or resentments have come up. And they encourage couples that they can in fact change their marital destiny if they do the hard work that may be needed. If you or a friend finds yourself in an Achiever/Connector marriage, and you hope to improve the trust, intimacy, and connection in the marriage, “The Love Fight” may help you see things in a new light. Please note I receive no compensation for this review. The Love Fight can be found at Amazon or other retailers.